Civil proceedings have been issued against the Police and Crime Commissioner (PCC) for West Yorkshire concerning the outcome of a misconduct investigation that he ordered into his former chief constable, Mark Gilmore . In response to a long running freedom of information request , made via the What Do They Know website on 21st September, 2016, a spokeswoman for PCC Mark Burns-Williamson says that details of the probe carried out by Lancashire Police cannot be released, as to do so would be prejudicial to the impending court case. The same argument is applied to the refusal to release emails and meeting notes between Lancashire detectives and the PCC that formed part of the information request. It is further claimed by the PCC that some of the emails may be legally privileged. A response to the information request was only given after a complaint was made to the Information Commissioner’s Office (ICO) on 10th January, 2017. After an inexplicable delay by the watchdog who, incredibly, wanted to close down the complaint, the PCC was eventually directed on 26th April, 2017 to comply with the Freedom of Information Act and provide a finalisation of the request within ten working days. The reasons set out in that finalisation are not consistent with those given previously for failing to disclose the information. An detailed internal review request made on 10th November, 2016 was, more or less, ignored. This was the main ground for the complaint to the ICO. 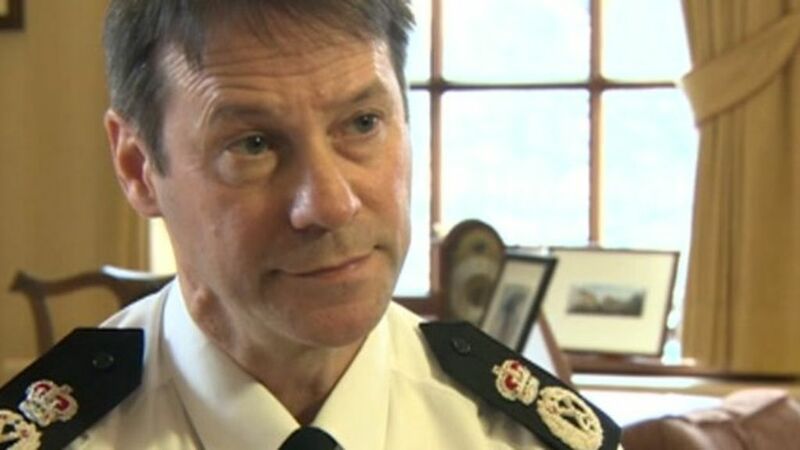 Gilmore was appointed as chief constable of the country’s fourth largest force in April, 2013 following the controversial departure of the disgraced Sir Norman Bettison. Just over a year later he was suspended from duty whilst bribery allegations against him were investigated by the force where he started his career, the Police Service of Northern Ireland. In May 2015 it was announced that there would be no criminal charges against Gilmore concerning the award of vehicle contracts. His suspension was lifted, but he was immediately placed on gardening leave, purportedly working remotely for the National Police Chiefs Council. A misconduct investigation, codenamed Operation Barium, was launched by Lancashire Police immediately after the conclusion of the criminal matters. Retirement from the police service followed a short time after the Barium report was delivered to Burns-Williamson by Lancashire Police in July, 2016. Ten months later, the public are no wiser as to whether Mark Gilmore had a case to answer. The civil proceedings filed at the Royal Courts of Justice are an application by Mark Gilmore for judicial review of the failure, by the PCC, to reach a decision on whether there was a case to answer for misconduct. The stipulated period is 15 days for making such a decision. Gilmore’s solicitors – Belfast based McCartan Turkington Breen – say that there is a ‘continuing failure by the PCC for West Yorkshire to comply with his statutory obligations’. The claim is being handled by Ernie Waterworth, who now acts as a consultant to the law firm, having previously served as a partner. He specialises in civil litigation, public enquiries and criminal law matters. Mark Burns-Williamson has issued a statement saying that ‘The claim is denied in full. We will be submitting a response to this effect to the court in accordance with the legal process“. The PCC did not elaborate on the reasons for defending the claim. The cost of paying for two chief constables, Gilmore and the temporary incumbent Dee Collins, over a two year period is estimated to be close to £800,000. The belatedly finalised information request is now the subject of further challenge. A new request has also been made concerning the documents filed at court in the action against the PCC .